I feel like answering this common question publicly. When my children were preschool-aged, I regularly sent them to hourly childcare and part-day pre-school. I would also call babysitters on days I needed some more help. Then, whenever my hubby was free, I was happy to leave them with him. This was my pattern. If I am being honest, my existence as a mom began to resemble something from a Bravo Housewives episode, revolving mostly around me-time activities: gym, shopping, lunch with friends. Yet, even after hours of being away, I would come home to the kids, and quickly get irked at how they’d get in my way and distract me from doing the things I really needed (er, um, wanted) to be doing. I was becoming unhappy–begrudging them and my days. Where was that peace and refreshment the me-time was supposed to replenish? Here’s the thing. No matter how much me-time I rack up during the week….it never feels like enough. The more I get, the more I crave. It sounds like I don’t love my kids. I do. I just had a warped idea of what my life was supposed to look like. By the grace of God alone, I’ve recognized my shameful pattern. Over time, as my outlook on me-time has transformed, I’ve become a lot more relaxed in the day-to-day operations. The me-time that I DO get to myself, I deeply savor. Have you thought about what is going on in the world all around us? SPOT on…love this. I have to pray daily that Jesus will keep His priorities my priorities…otherwise my selfish need for “me-time” just takes over and my frustrations go through the roof. I just can’t keep the focus where it needs to be for very long. My discipline and strength gets used up QUICK. HE graciously supplies strength for the long haul. love you! I began homeschooling my 3 sons 5 years ago. My 3 boys at the time were in 4th grade, 1st, and kindergarten. I also worked at the school as a teachers assistant and then a substitue when my youngest entered pre-k. Thank you so much for your honesty and transparency in this post. I get that comment all the time!!! And while everyone needs to find what is right for there family, we have found homeschooling to work best for us. It is a gift! Great post! I admire your honesty and I am pretty sure most moms can relate. I went through something similar…it is crazy how the secular world almost encourages this type of thinking, making it easy to get caught up within ourselves at times. Great words, Leigh!! I can totally relate to all of this! I recently read Kisses from Katie and was so struck by how she views loving and mothering as a privilege — such a far cry from the typical American “When do I get my ‘me time’?” mentality. Keep up the encouragement! Thank you for your kind comments. Don’t think I have this all figured out, either!! I am just having to recenter constantly to make sure I remain grounded. Funny how I enjoyed my life MORE after I relaxed about my next me-time fix. As my friend Shelly said this morning, “it’s easy to slip back into an escape mode that doesnt truly satisfy”. So very true and very well said!! 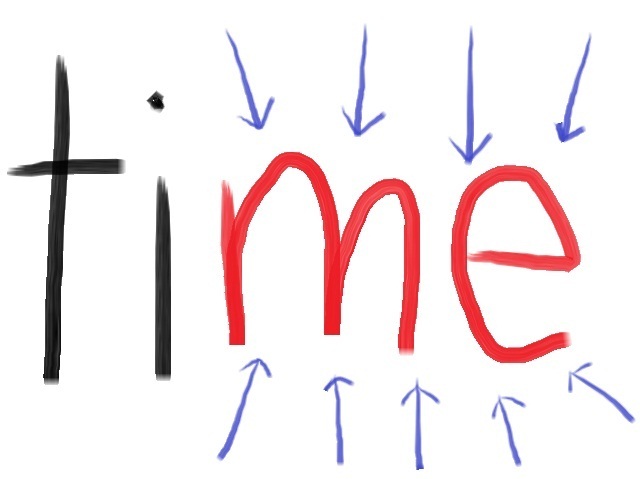 It is refreshing to see more and more people being awakened to the deception in the “me time” mentality. Only God can satisfy, fill us, and recharge us when and how we truly need it. So thankful for his grace and mercies…new every day!